Want more productivity hacks? 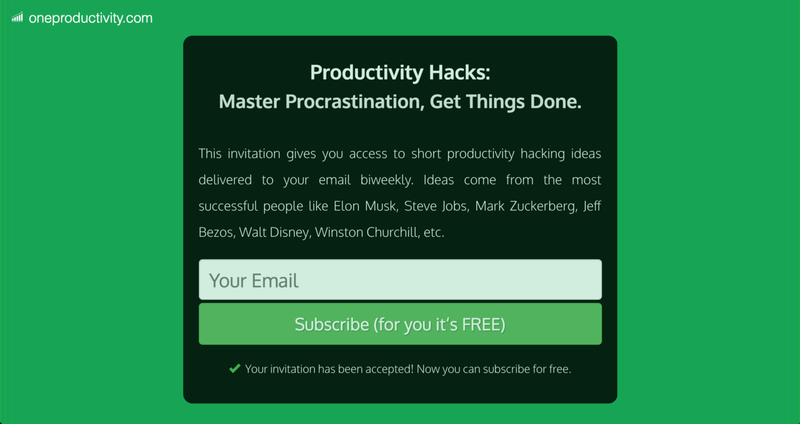 Here’s a special gift for you — access to my new biweekly invite-only productivity hacks for free! Lately, I’ve noticed how location has an enormous impact on work and productivity. Without realizing, I’ve been using different productivity spaces for different types of work. For actual work — such as writing for my blog or newsletter — I use the desk in my room. For design/coding, I prefer to sit in the bed. The kitchen table is reserved for planning, armed with a pen and paper. I normally read while using the toilet (hey, better than Facebook!). For high-level thinking or refreshing my brain, I go for a walk outside or sit on the balcony. This was not on purpose. My brain started associating different environments with different types of work. That’s why when I sit at the toilet, I read. Sometimes I go there and just sit down and read (without having to — you know — go). My brain knows what do it, and so it does it automatically. It’s a habit. So I’ve been thinking (in the balcony) how to design different productivity spaces for different types of mindset and work. In this post, I’ll cover how to find your different work mindsets, how to design productivity spaces, how to choose the actual places, and how to iterate on design to keep improving your work experience and productivity. Before deciding where to work, you need to be aware of the types of work you do in your daily life. This is different for each person, so it’s important you do the following exercise: grab a pen and paper and start listing all the tasks you perform every day. Write down absolutely everything: from getting coffee to reading email, from meetings to status reports, from big projects to small ones. Go through each task from your list and insert them into one of these categories. Once you’re ready, move on to the next step: design productivity spaces by finding the essential features that they must have. It’s time to consider the key attributes for productivity spaces. These will differ according to the type of work you need to do. For tasks requiring a lot of focus and attention, you’ll want to design your space to make it easier to enter a state of flow. This could mean keeping noise and distraction to a minimum (or using noise-canceling headphones) while sitting in a comfortable chair. Take a few minutes writing down the environment must-haves for each type of work. The more specific you get, the better. Use props — such as “pen and paper”, “listening to techno without lyrics” or “double monitors” as you see fit. Once you know exactly what are each productivity spaces must-haves, it’s time to select the areas in your office to perform each different type of tasks. These will be your productivity spaces. Now it’s time to chose your productivity spaces. 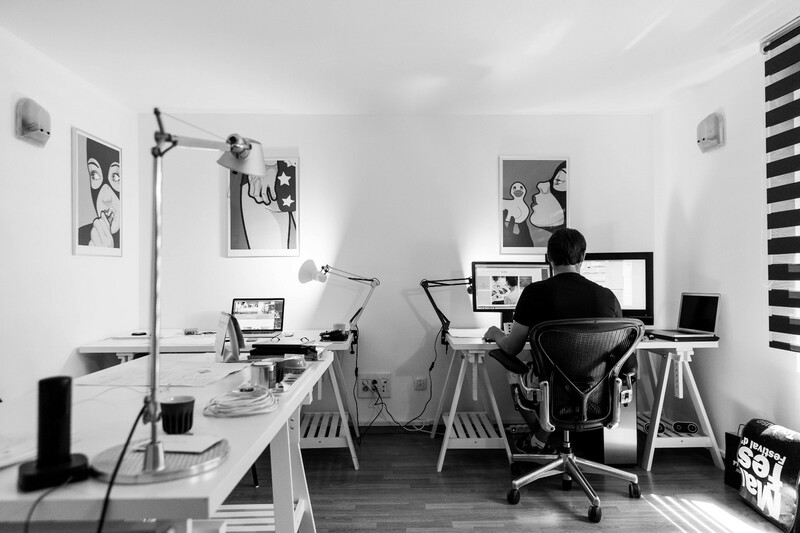 Identify the best areas in your office for each type of work according to your must-haves. For each location, do only one type of work. Performing the same type of activities in the same location trains your brain to switch to a different working mode immediately. Expand your thinking of what constitute “workspaces”. Here are some ideas: your desk, co-workers desk, private room, by the window, couch, cafe, co-working space, outside, lobby, break room, commuting, kitchen, eating areas, park, library. If you work in an office, you might have to get creative about finding a space for each type of work. At Freelancer.com, I did most of my creative work on a couch. If you work at home, different rooms in the house or places to sit — desk chair, couch, bed, kitchen, toilet — will do the trick. Much like iteration is used in software to upgrade and evolve a product, you must do the same with your productivity spaces. 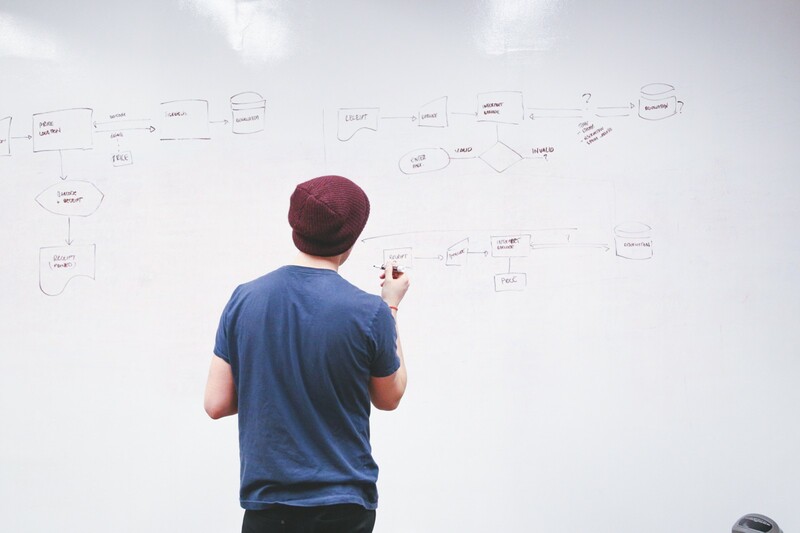 Being data-driven is not reserved for tech companies and products. Test little changes to your environment and analyze how it affects your productivity. Sometimes it might be hard to measure productivity, so go with your gut-feeling and happiness level if you must. By using location-based prompts and creating productivity spaces for certain types of work, you may find it easier to buckle down to your tasks. The switch in the environment triggers your brain to shift work mindsets and help you be more productive. Experiment and see if it works for you. Originally published at www.dansilvestre.com on March 12, 2018.